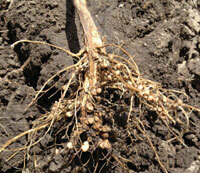 Soybean Inoculation: When, Where, and Why. As you focus on making the most from your input investment, under what conditions is soybean inoculation likely to pay off in higher profits? Nebraska On-Farm Research Corn Seeding Rate Studies 2010-2014. Producers in the On-Farm Research Network conducted 38 trials over the last five years to identify what seeding rates maximized yields in irrigated and non-irrigated corn. See what they learned. Updated Handy BT Trait Table offers a quick guide to Bt corn traits, insects controlled, herbicide tolerance, and refuge requirements. Use Forecasts and Soil Temps as Planting Guides. With cool rains in some areas, soil warm up is expected to stall and farmers are urged to be cautious about planting too early. 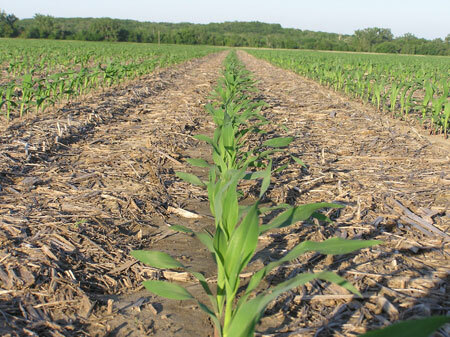 No-till Planting Tips to Help Ensure a Successful Stand. Before you head to the field, maximize planter performance in no-till by following these nine tips. New Corn Herbicides for 2015. No new modes of action, but several new tank mixes in the line-up. No-till Alfalfa Offers Soil Water-Saving Benefits. Considerations for Pasture Leases. Tips for setting lease terms and typical rates by Nebraska regions with a link to a sample pasture lease. View segments on the widespread wheat injury in southwest Nebraska, the USDA Prospective Plantings Report and grain market analysis, and news from the poultry and hog industries. Irrigation and Soil Resource Management Specialist to Join Panhandle Faculty July 1. Robert Fraley to be April 21 Heuermann Lecturer. Monsanto's Executive Vice President and Chief Technology Officer, Fraley was the 2013 World Food Prize Laureate and is an internationally known expert on advances in biotechnology for agriculture. Pesticide Container Recycling Available at 26 Sites Across the State. Free Finance and Ag Law Clinics in April.